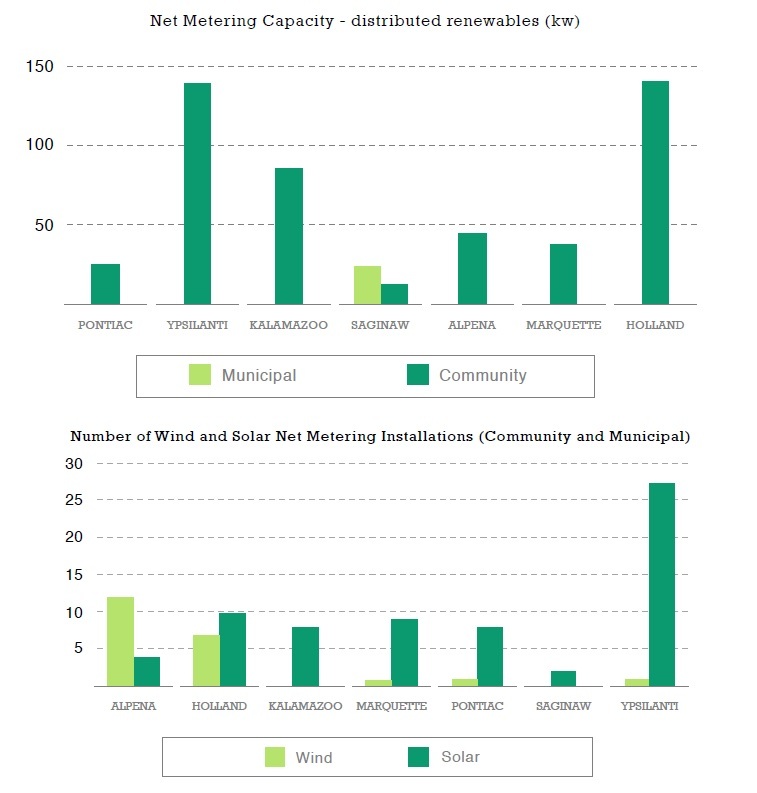 Michigan Saves has just published two new reports, one profiling the clean energy efforts in seven Michigan communities, which features Ypsilanti as one of those communities. The other is a statewide profile of energy use and deployment of four clean energy technologies. Page 9 shows a graph where Ypsilanti is tie with Holland Michigan for the most “Net Metering Capacity” and another graph that shows Ypsilanti with the most “Net Metering Installations”. A summary of Ypsilanti’s efforts starts on page 35 and starts with this paragraph. Let’s install more solar power and become the “Solar Destination” of the Midwest.